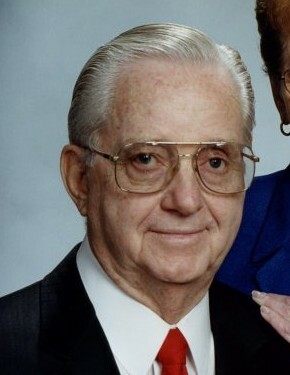 Jim Duncan, Sr., 84, passed away February 4, 2019. He was the president and owner of Duncan Motor Trailer Sales for 55 years, starting his career as a Studebaker and used car dealer. In 1968 he switched to RV’s and was the oldest Coachmen RV dealer, selling for over 40 years. He was a founding member Akron RV Dealers Association, Greater Cleveland Auto Dealers Association, and the Great Lakes RV Association where he was on the board of directors for many years. He was a member of the Community Gospel Tabernacle for 65 years and was the head trustee for many years. Jim is survived by his loving wife of 65 years, Emma Lou; sons, James Jr. (Cheryl) and Randy (Rita) Duncan; grandchildren, Brian (Meredith), Nathan (Katherine), and Victoria Duncan and Jaclyn (Michael) Villasenor; great grandchildren, Audrey, Colin, Alyssa, Avery, Tanner and Grayson; sister, Linda Duncan; brothers, John, Ronald, Gary, Larry (Becky) and Robert Duncan; special niece, Karen Moss; as well as many nieces, nephews, other family and friends. Funeral service will be held at 11 A.M. on Saturday, February 9, 2019 at Schermesser Funeral Home, 600 E. Turkeyfoot Lake Rd. (SR619), Akron, Ohio 44319 with Rev. Warren Lowry officiating. Family and friends may call on Friday from 2 to 4 P.M. and 6 to 9 P.M. and on Saturday for 1 hour prior to the service at the funeral home. Interment will take place at Hillside Memorial Park. Memorial contributions can be made in James’ name to the Community Gospel Tabernacle, 181 E. State Street, Barberton, Ohio 44203. To leave a special message online for the family, visit our website at www.schermesserfh.com.